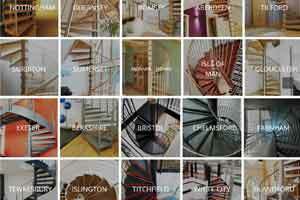 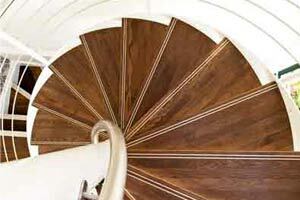 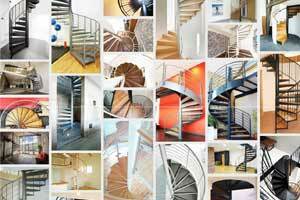 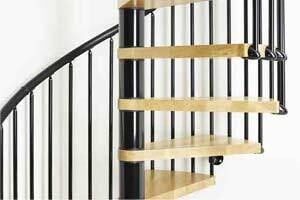 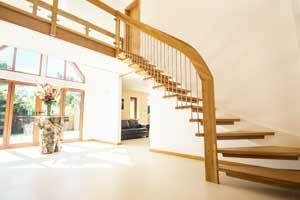 This staircase provided the focal point for a new build in Stamford, Lincolnshire. 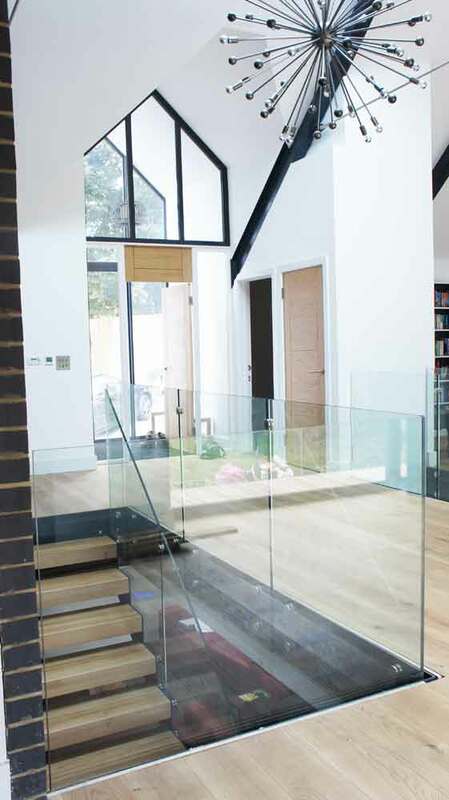 The main living area was on the lower level and a modern staircase was required to connect the levels. 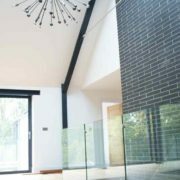 There were large windows to the rear of the property and our clients wished for the light to penetrate as far into the property as possible. 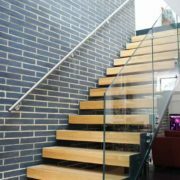 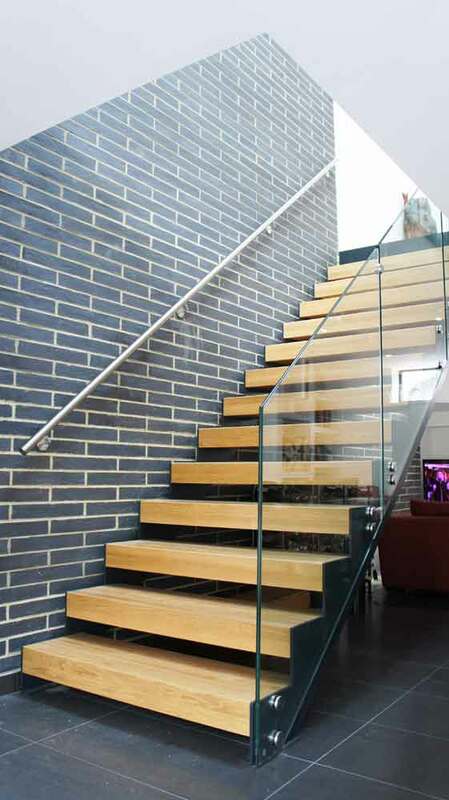 Glass to the side of the staircase was a must as were the open risers. 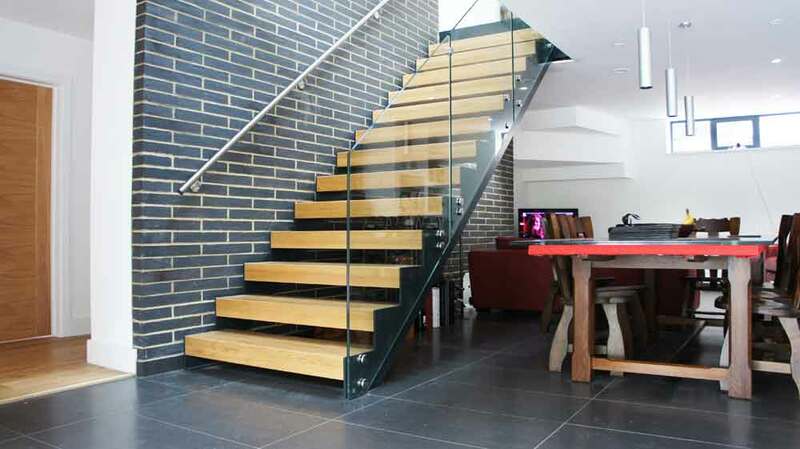 Our client selected 100mm thick sold oak treads and an Anthracite Grey finish to the steel stringers. 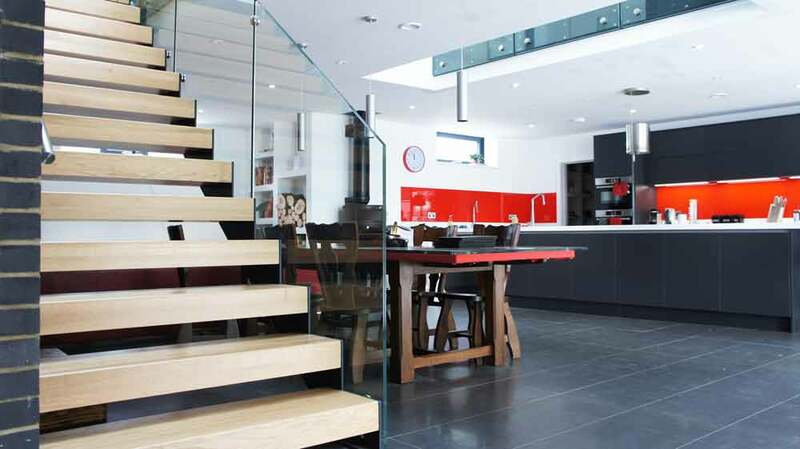 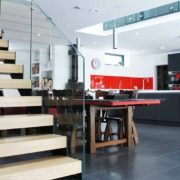 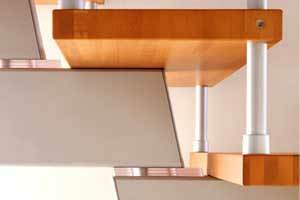 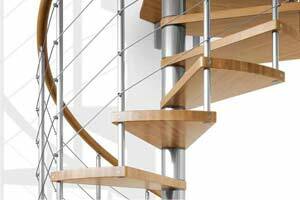 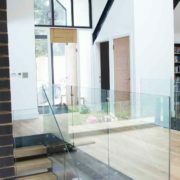 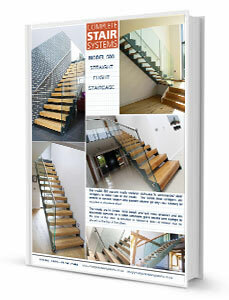 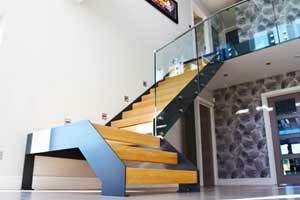 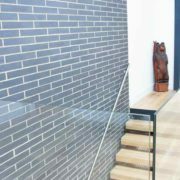 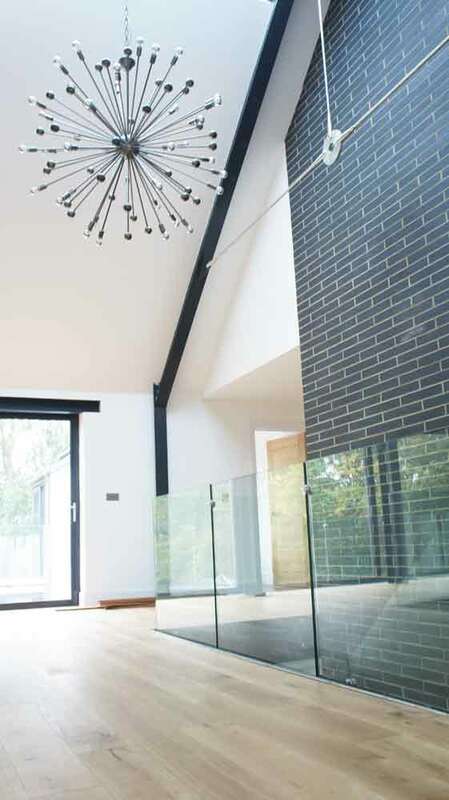 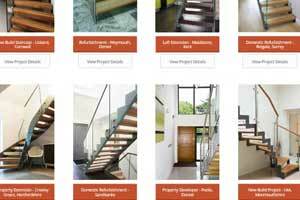 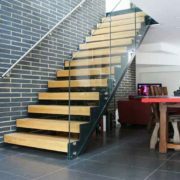 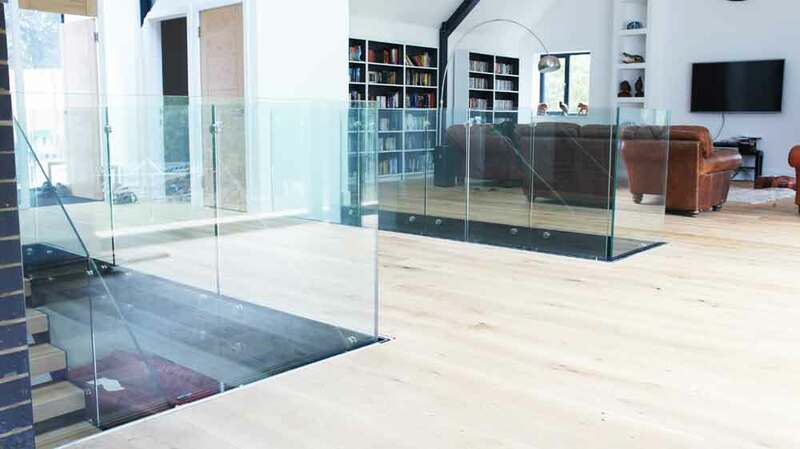 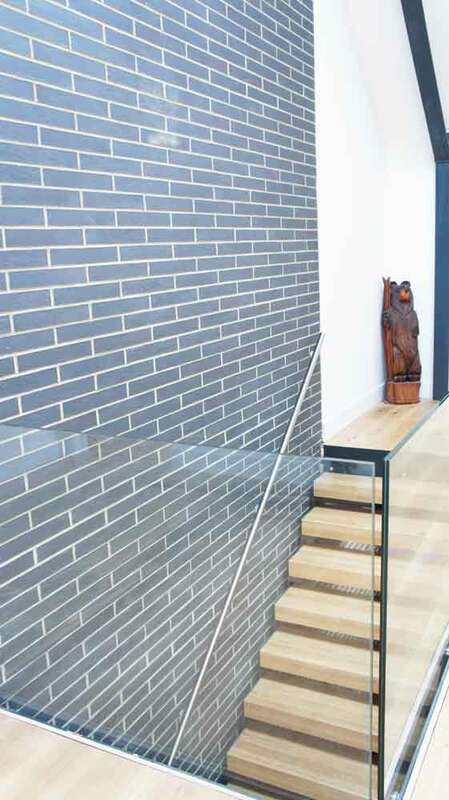 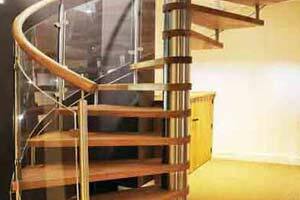 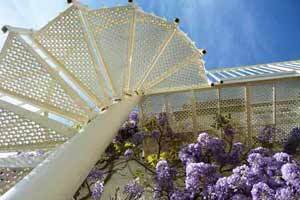 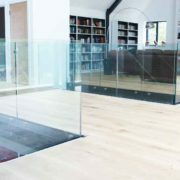 Landing balustrade was supplied around the stairwell opening and around a void above the kitchen.